California native Ramona Gonzalez first began her transcendent minimalist dance-pop escapades in the privacy of her own home in Los Angeles. 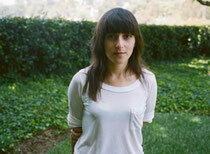 With the aid of her multi-track cassette recorder and whatever keyboards, drum machines, and other instruments that were available to her, she very quickly developed her own unique sound and began performing live in the L.A. area under the moniker Nite Jewel. Later teaming up with Cole M.G.N. (formerly of Ariel Pink’s Haunted Graffiti), the Nite Jewel act became four piece live act, touring alongside the likes of Little Dragon, DaM-FunK, and James Blake. The Nite Jewel sound has been likened to that of a warped, lo-fi version of late-80’s freestyle electro sensation Debbie Deb and has also found appeal among not just the indie rock and experimental crowd but also among avid listeners of hip hop, funk, disco and soul. Nite Jewel gathers much of her inspiration from the likes of L.A. Free Music Society’s experimentalist Tom Recchion, obscure UK new age electro-acoustic duo Woo, and the sublime ambient electronic music of groups like Germany’s Cluster and Italy’s Sensations Fix. She also citse ‘90s R&B pop groups such as TLC and SWV as influences who left an indelible mark on her music sensibilities as a teenager. In 2008, Nite Jewel released her debut album ‘Good Evening’, recorded with the assistance of longtime collaborator Cole M.G.N.. ‘Good Evening’ was met with critical acclaim, was taste-making record store Other Music’s fourth top-seller of 2009, and was featured on the Greenberg motion picture soundtrack alongside James Murphy, Duran Duran, and Albert Hammond. Since 2009, Nite Jewel honed its lounge-pop-R&B craft across releases from Italians Do It Better, Mexican Summer and LA/Bay Area labels Gloriette Records and Human Ear, which lead to a wealth of refinement and bold directness in singing and songwriting. On ‘One Second of Love’, out today, you’ll find a re-imagination of Golden-era R&B pop; future-classic sounds alongside vocal sultriness. Check it out below. 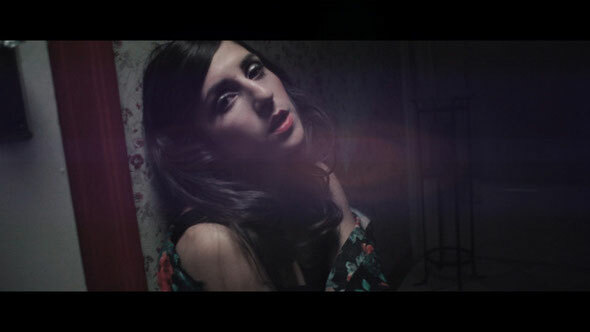 One Second of Love by Nite Jewel from Secretly Jag on Vimeo.